I wanted to create a scene with a spooky wall with Newton hanging because he is so scared after seeing that spooky frame or mirror. I cut a cream cardstock for the front of my card and sponge the edges with Walnut Stain Distress Ink. To make the down part of the wall I used a score board and score every 1/2 inch to create a wall texture and sponge it again with Walnut Stain Distress Ink to accentuate the raised lines. I cut a strip of cardstock in the same color and adhere it to the scored panel with foam. 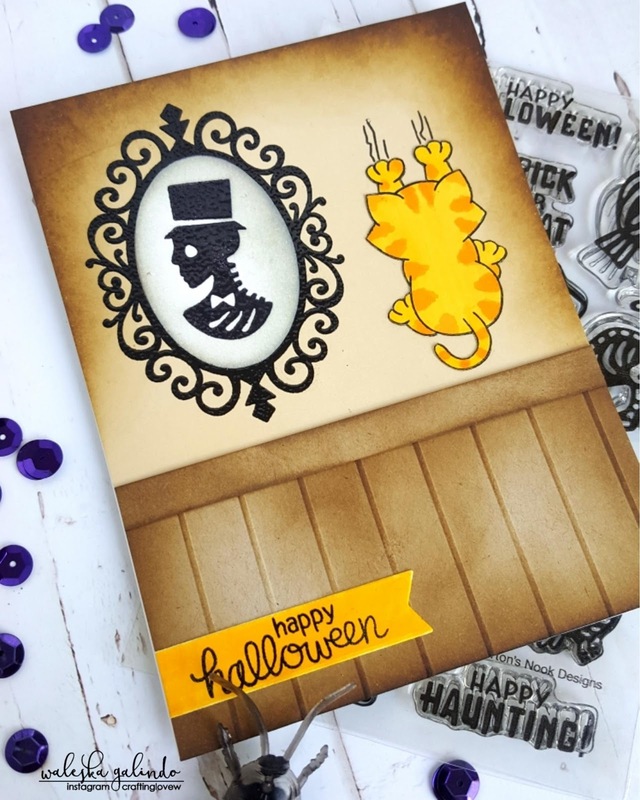 After I had my wall I stamped the spooky frame from the Creepy Cameos Stamp Set with Versafine ink and added clear embossing powder, for the inside part of the frame I used gray cardstock to simulate glass and stamped the creepy skull that scares Newton. 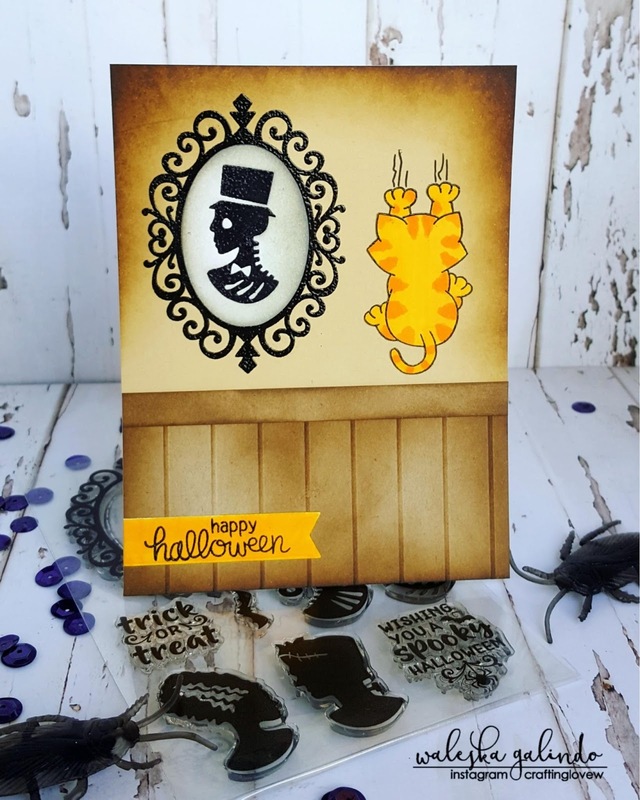 Finally I added the very frightened Newton from a non halloween stamp set called Naughty Newton to the wall and I added the sentiment from Newtons Costume Party Stamp Set. 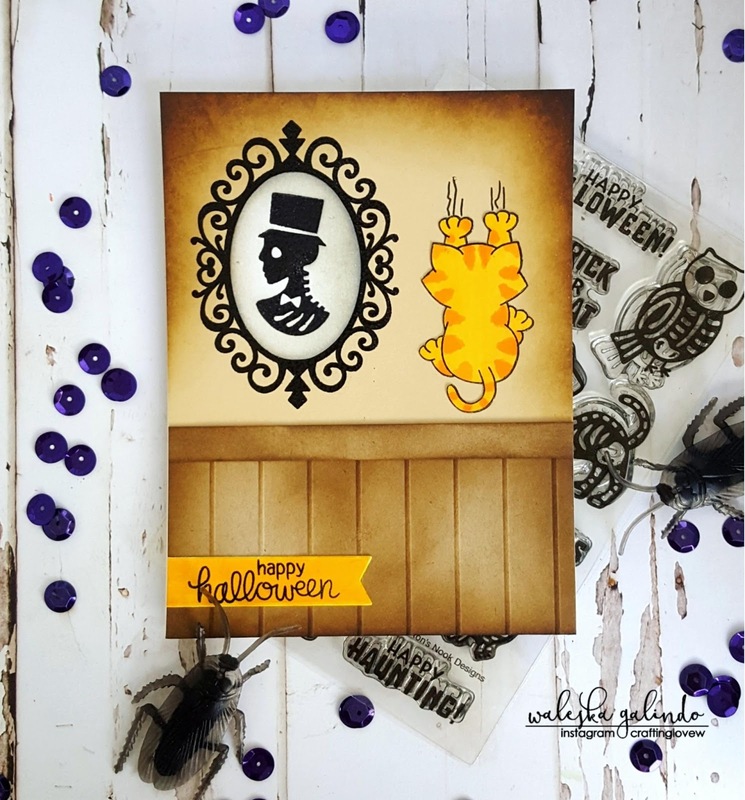 I hope you like my card and I could inspire you to create and think outside box with your stamps to create fun scenes! I hope you have a great starting week! This is such a fun card ! !